The Patient-Driven Payment Model (PDPM) will be here before you know it, October 1, 2019. 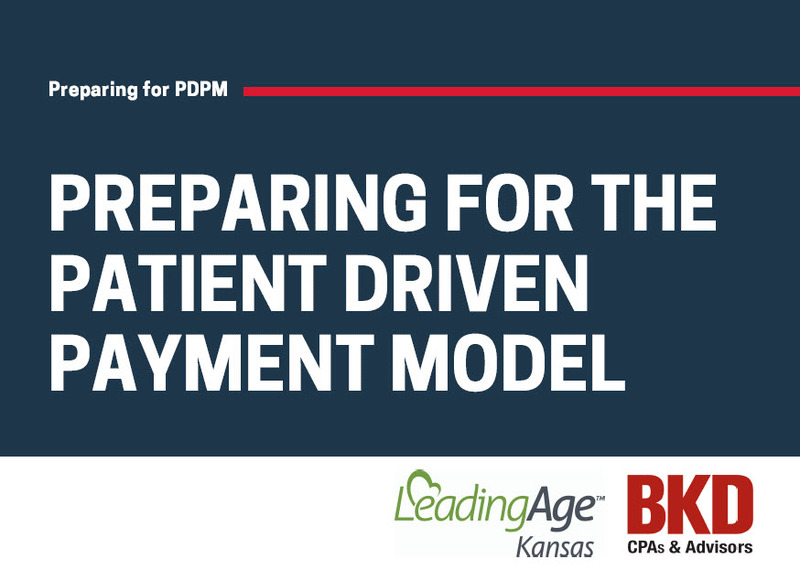 LeadingAge Kansas has partnered with BKD to bring you the professionally designed PDPM Academy. The PDPM Academy will give you the insights, the tools and access to experts that you will help you be ready for the new model like a pro. Sign up now, you won't want to miss a thing. Q & A Call Session, January 15, 2019, 2:00 - 3:00pm | A reminder will be sent out to submit your questions by January 11. Roundtables - Cost includes up to two attendees from your organization. Up to 3 hours of CE will be available.